Grind the Red chillies, Button onion, Garlic, Mango ginger, Lemon grass, Tamarind extract, Dried prawns, Salt and sugar to a fine paste. Now coat the chicken pieces well with this paste and leave it overnight to marinate. 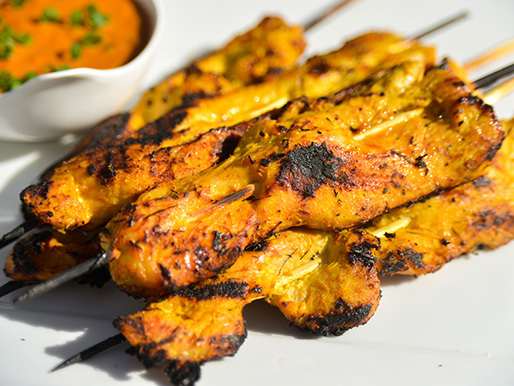 Thread the chicken pieces into thin bamboo skewers and roast in the barbecue. Make a paste with the oil and the honey. Keep basting the chicken pieces with this oil-honey paste during the roasting process.